Beautiful delicate 1/2” round gold filled disc with personalized initial. All our chains and pendants are gold filled. Which means they will have the quality and look that will last for years. 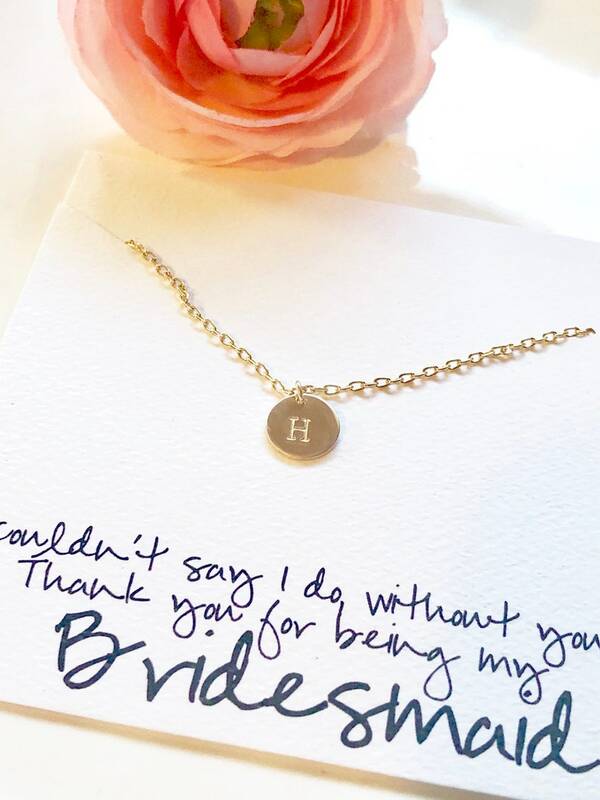 Perfect little personalized meaningful gift for many occasions.